Stay connected to your Lumberjack family! 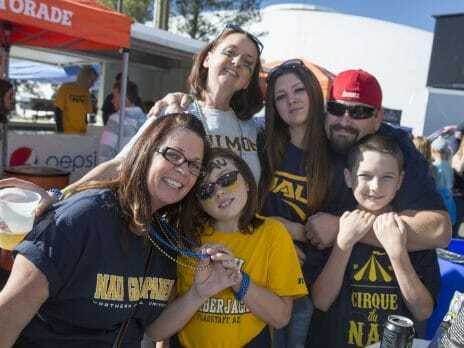 Keep the true blue and gold spirit alive and engage with NAU alumni events and activities throughout Arizona and in a region near you. Join an alumni chapter to connect, build your alumni network, and celebrate being a Lumberjack during local alumni events. Put your green thumb to use with the Flagstaff Alumni Chapter and plant your own succulents. Purchase your (s)pot by visiting nau.edu/PottingParty. Be a Jack who gives back! Support the Prescott Alumni Chapter and help beautify our adopted section of Highway 89A. For more information about this event visit the Prescott Chapter Facebook page. Lumberjacks around the world are proud, generous, and loyal. This is why alumni, students, parents, friends, fans, neighbors, NAU faculty, and staff—will come together on May 1, 2019 for OneDay. OneNAU. — a 24-hour online fundraising event honoring NAU. For more information visit oneday.nau.edu. 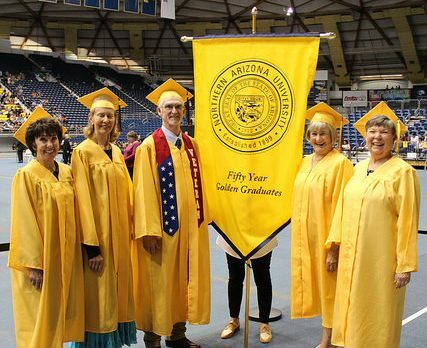 At this special two-day alumni reunion event, classmates from the university’s 50-year reunion class and guests reconnect with each other, NAU, as well as enjoy a special opportunity to join in a spring commencement procession. Register at nau.edu/classof69 today!